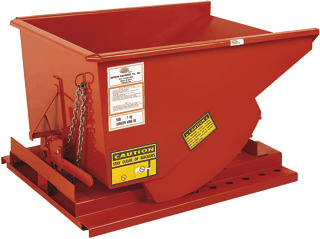 These rugged, welded steel hoppers solve your bulk handling problems and increase productivity. 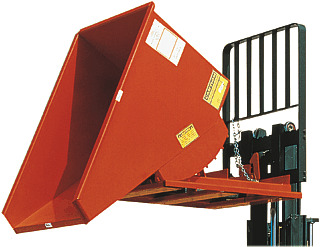 Hoppers are designed for forklift handling, dump safely (Pic. 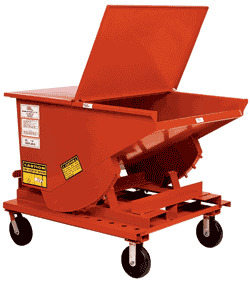 2) from any height and are precisely balanced to tip forward for complete discharge of contents and return to an upright position. Empty units through 2 cubic yard size can be stacked up to 3 high for space savings (not to be stacked when loaded). Dimensions represent the overall width, length and height.